Arman Banan prepares to serve. It only took three sets for the San Marcos High boy’s volleyball team to dispatch Santa Ynez 25-18, 25-13, 25-18 on Tuesday night at Maury Halleck Gymnasium. The Royals will now look ahead to a pivotal matchup with first-place Santa Barbara on Thursday and the opportunity to capture a share of the Channel League title. Santa Barbara is currently ranked No. 4 in the most recent CIF-SS Division 1/2 poll after winning the Karch Kiraly Tournament of Champions for the first time since 2005. The Dons defeated Loyala 25-22, 25-14, 24-26, 25-21 in the Championship match avenging a five-set loss earlier this season. San Marcos will be facing a Santa Barbara team that has hit its stride on Thursday. Against Santa Ynez there were a lot of positives to choose from for San Marcos, including the continued strong play of sophomore middle hitter Cade McLean who led the way with 11 kills and four blocks. The Royals are especially strong in the middle with Parker Bittner and Will Pace joining McLean to form a fearsome combination. 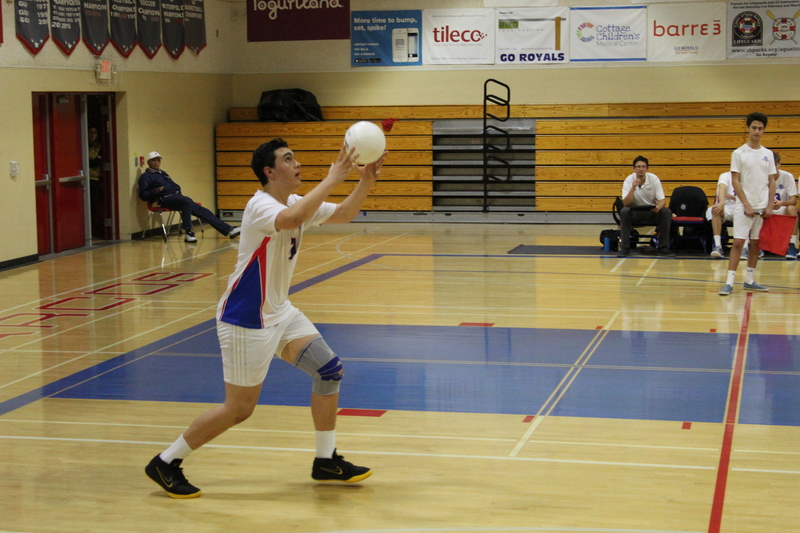 San Marcos (20-6 overall, 6-1 Channel League) clinched the third set and the match on a spike by Toby Still.